I know most of us bloggers have heard about StumbleUpon, the social bookmarking site, but do we really use it? I did not, up until two months ago. Actually I tried using it when I started blogging without doing any research. The result = Total waste of time. So when the topic of StumbleUpon came up in one of my blogger groups I sharpened my ears. To my surprise there were quite a few folks recommending that both the reader and the blogger should be using SU! Why? For the reader, it is like an endless magazine catering just to you showing you only articles in the fields that you are interested in. For the blogger, of course it drives a ton of traffic to your blog! Who knew? It is true! I experienced the traffic surge firsthand almost every week last month! If you are having a hard time figuring SU out no worries, I’ve made a video (my first one recording myself, to tell ya the truth was pretty stressful 🙂 ) on StumbleUpon basics. StumbleUpon is a social bookmarking site where the user curates the content. It is a great resource for finding new content to Pin or for blog post inspiration. Teamwork is what gets rewarded, tooting your individual horn will get you penalized. Define “Interests” when you set up your profile. Downloading the toolbar makes it easier. You can give every page a thumbs up, a thumbs down, or just nothing. The first time you “Add a page” make sure to enter the “Interest” category and tags correctly. When Stumbling or adding new content, it is best to follow the 10:1 rule. Stumble 10 of other people’s content before you stumble your own. The more you stumble the more chances that others will stumble your content. I’ve also created a Facebook Group called StumbleUpon for DIY/Home Decor/ Craft Bloggers, where we can discover fellow bloggers in the same niche and promote each other. Happy Stumbling! 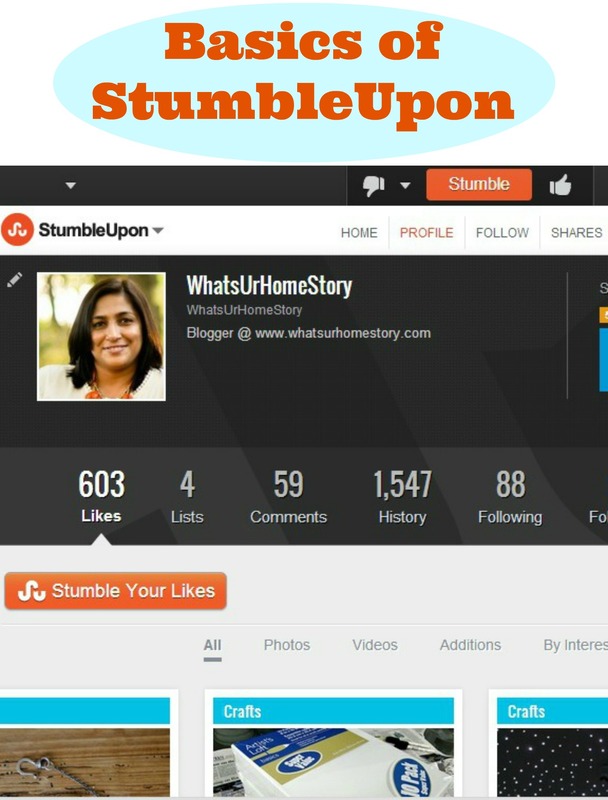 Do let me know if you have any StumbleUpon questions. In other news, I booked my tickets for my first blogging conference! Hurrah, I’m going to Haven, a two-day conference in Atlanta for DIY/Home Decor bloggers, in July! Super duper psyched about it. Anyone else going? Great post! So happy you are going to Haven! Can’t wait to meet you there! Thank you! Means a lot coming from you. Can’t wait to meet you in person too. What an awesome post! I’m on stumbleupon and would love to connect with other DIY and Home Decor Bloggers. Thanks for dropping by CereusArt. Haven’t been on SU for so long, yet it is my 4th top referral source. Happy stumbling!